1 x 5-35mm Spiral Grooved Drill. Shank:Triangle round handle. Type: 5-35mm(5,7,10,12,15,17,20,22,25,27,30,32,35mm),Shank: 23 x 13mm. Titanium coated to reduce friction and run cooler. Automatically deburr holes as you drill. 3pc tile & glass dril bit set. Sizes: 5mm, 6mm, & 8mm. Low Drill Pressure & Frequent Lubrication Optimises Results. Drill Bit Length: 300mm(11.81in). 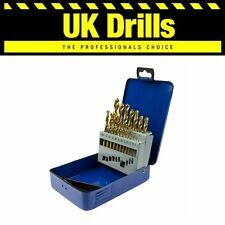 Durable Drill size: 1/8", 3/16", 1/4", 5/16", 3/8", 7/16", 1/2" drill bits. 7 x Wood Drill Bit. We are professional manufacturer to produce TV Wall Mount,Dog Harness,Dog Bed,Make Up Trolley,Mirrors,Garden Stand,Solar Led,Car Holder products and 3C Accessories.